Step 1. 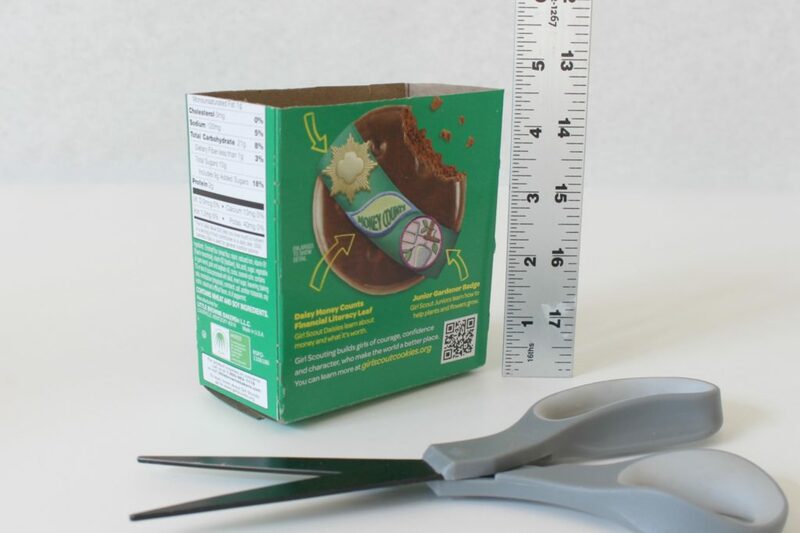 Cut your box to be a square on two sides, but very thin on the others. Step 2. 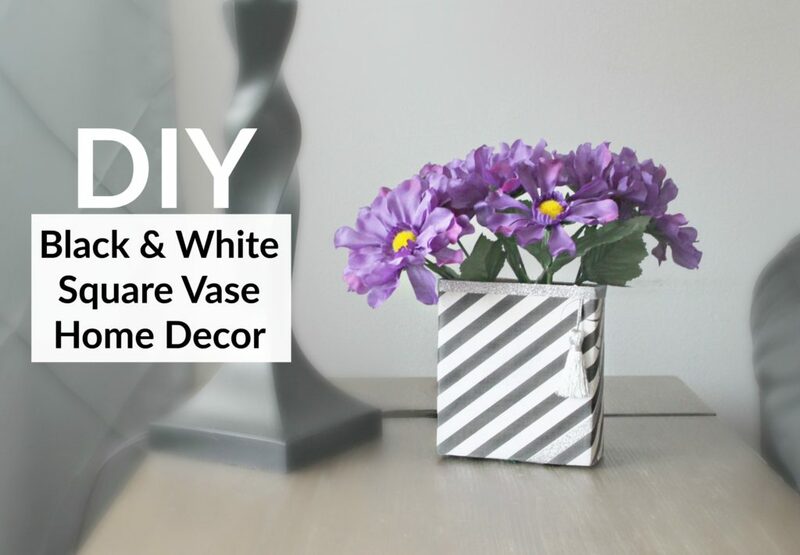 Get out your paper and glue gun. 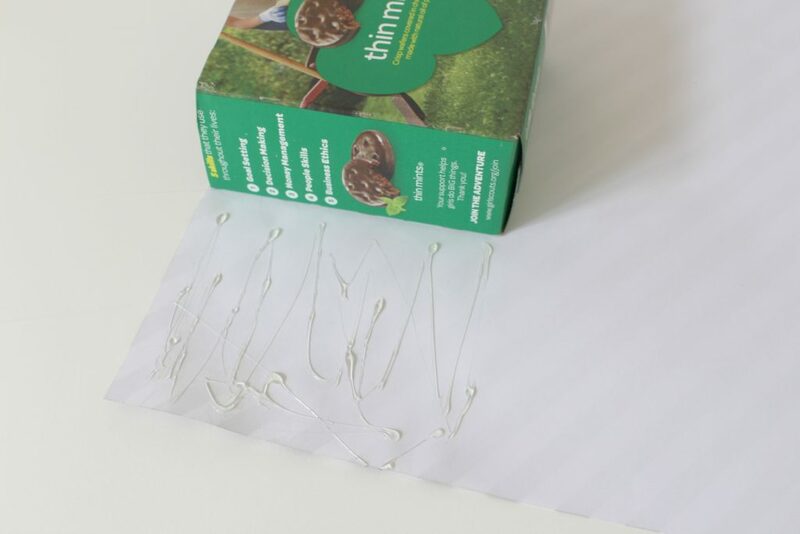 Begin to cover the box with the paper. Step 3. 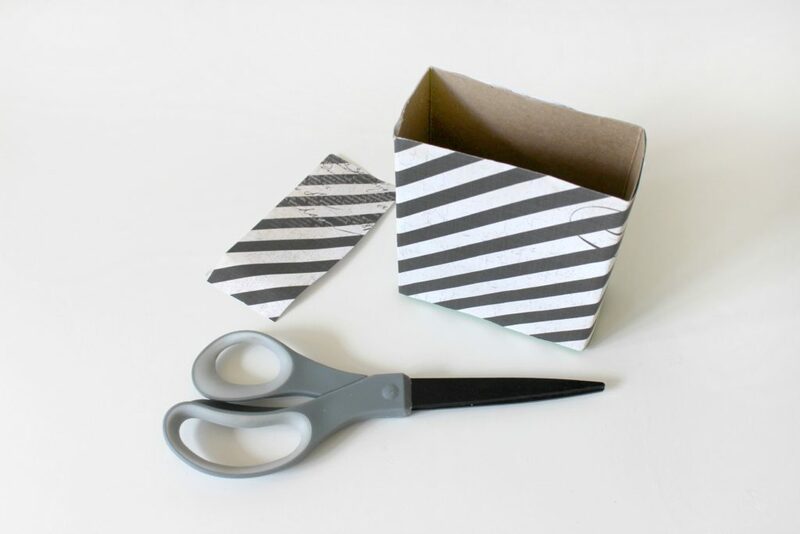 Use the scissors to trim the paper around the box. Step 4. 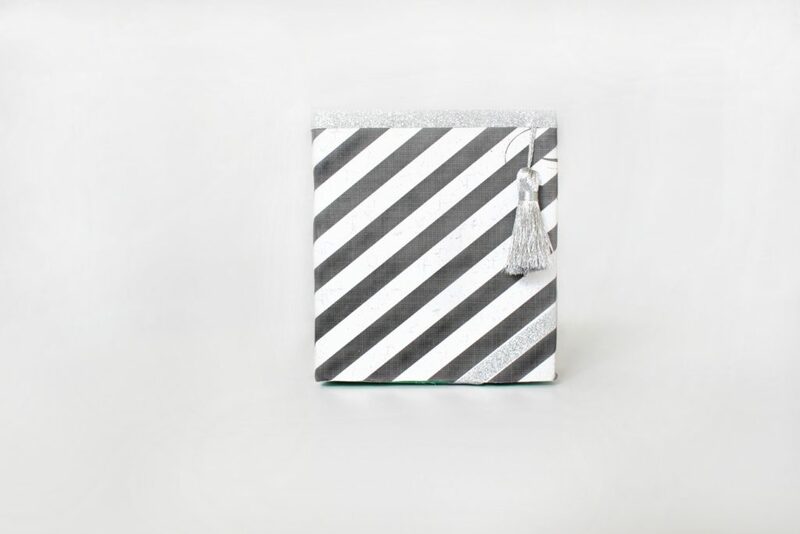 Glue the tassel string to the inside of the box so it hangs down the front to one side. Step 5. 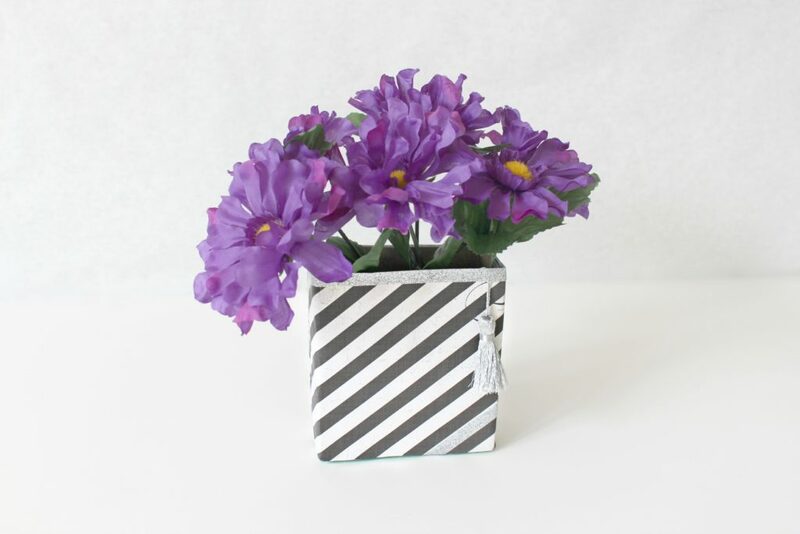 Use the silver washi tape to make a line of trim along the top of the vase and to decorate the box as you wish. Step 6. 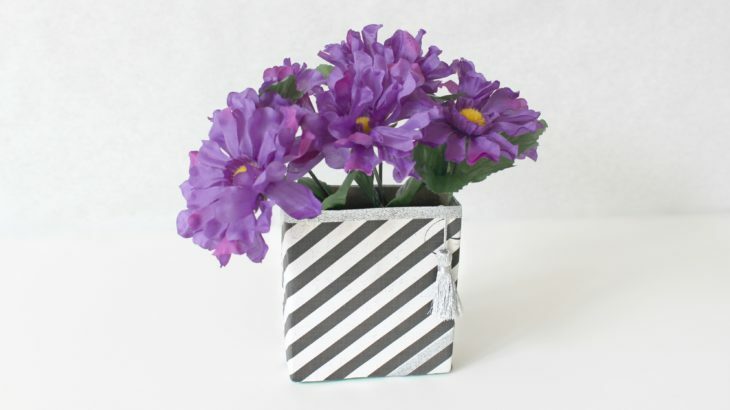 Cut the floral foam so that it fits down inside the box and add the artificial flowers. 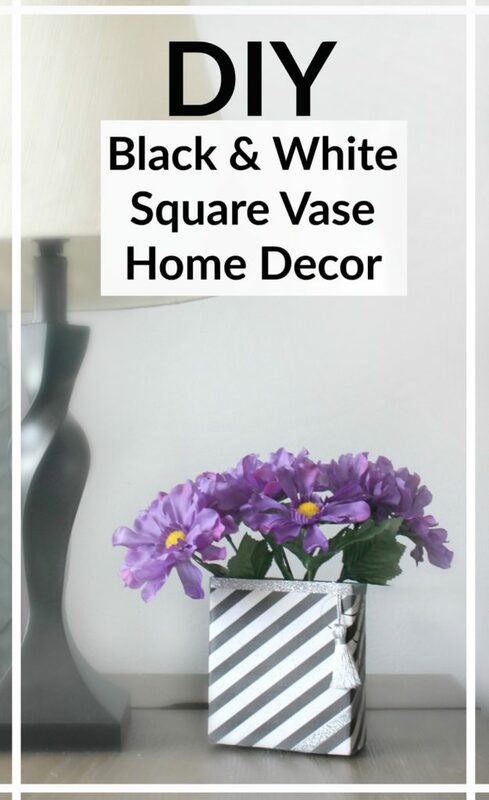 crafts, Decorating, DIY & Crafts, Home. permalink.